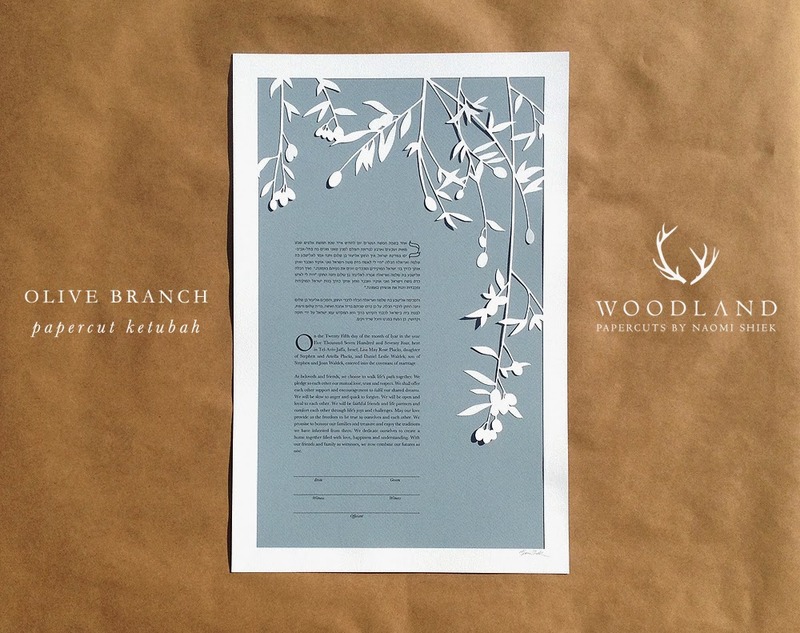 The OLIVE BRANCH ketubah is 11X17 inches big (so it'll fit in your suitcase for your getaway wedding *wink, wink*) and you can select your paper color from a variety in stock to match your wedding colors. 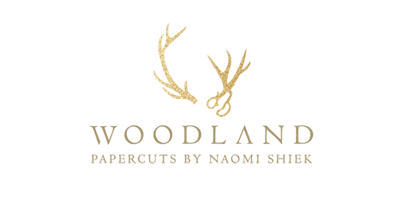 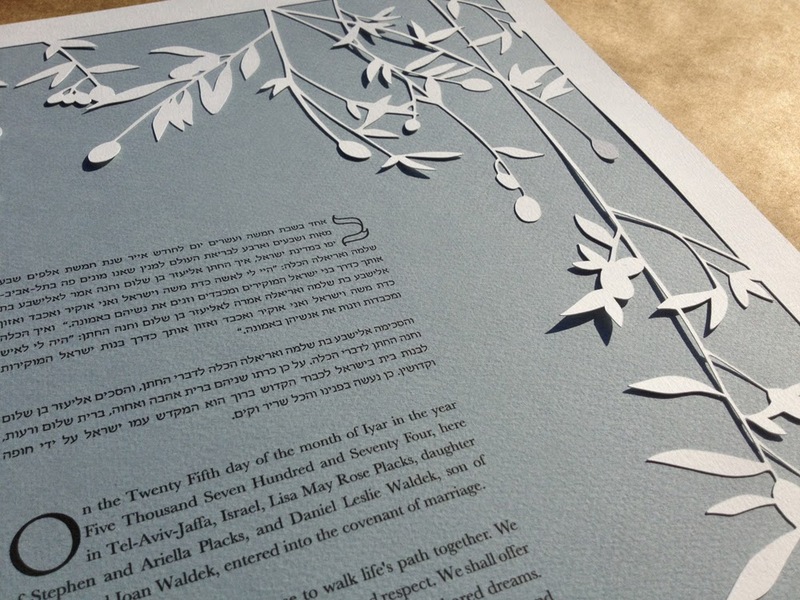 One of my more 'minimalistic' designs, the dramatic shadow play speaks for itself. 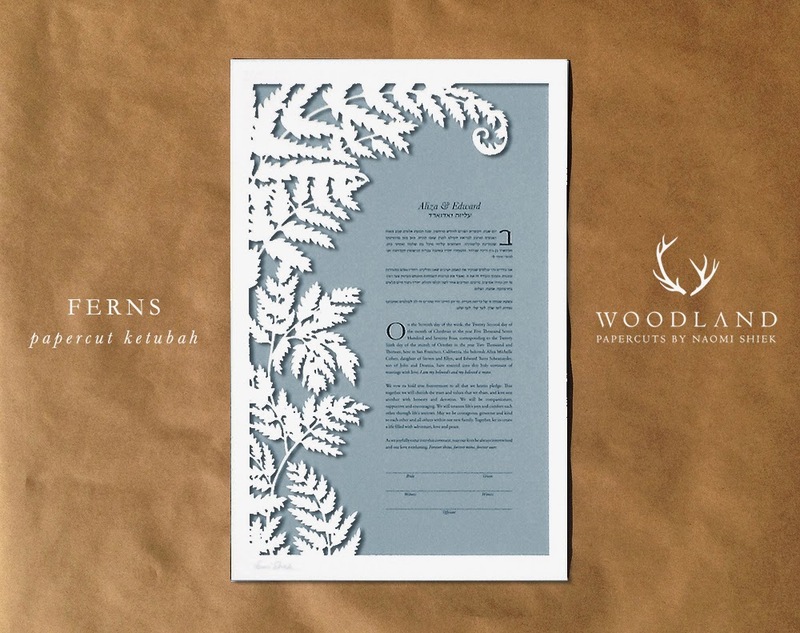 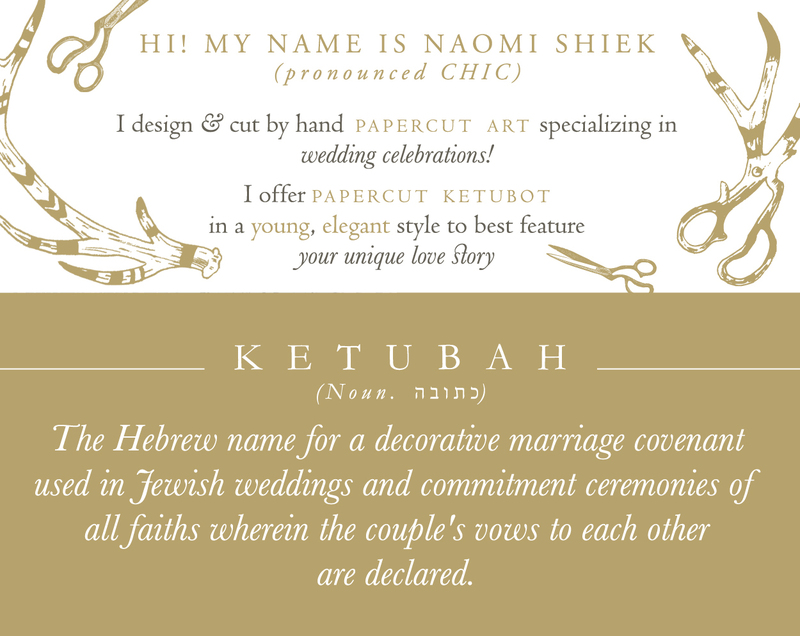 For the couples looking for a more tropical vibe, there's the FERNS papercut ketubah. 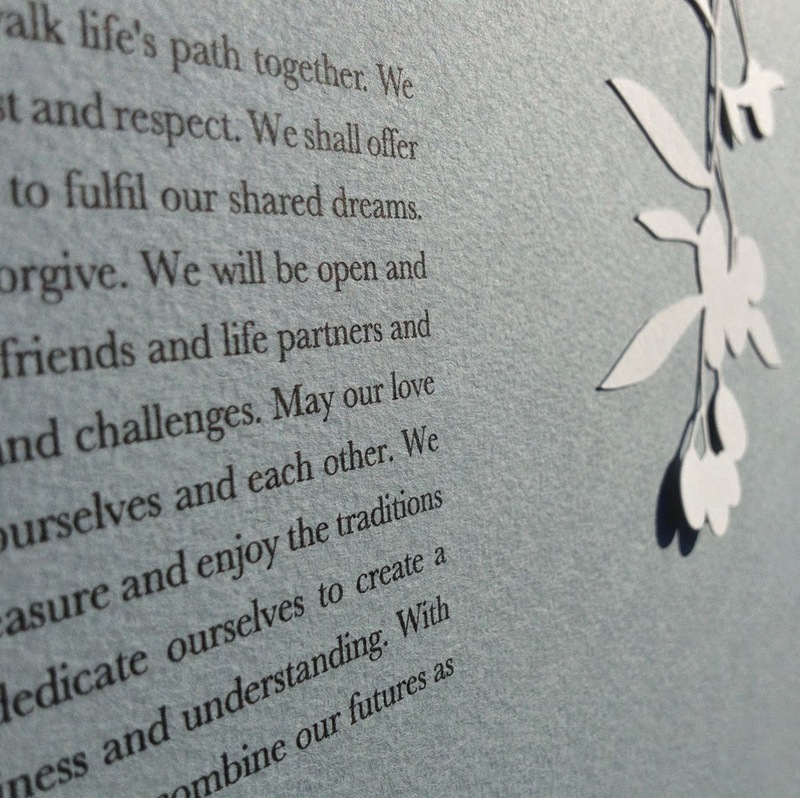 It, too, is 11X17" big and can be customized with your choice of text, fonts, and paper color from the available options.